The Dead Winter Carpenters perform on the Main Stage Saturday at 2:30 p.m. at WinterWonderGrass in Squaw Valley. 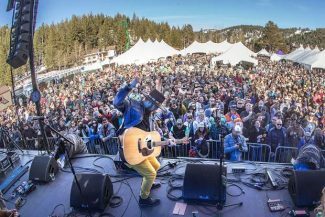 Tahoe locals Dead Winter Carpenters played at the first WinterWonderGrass Squaw Valley in 2015, played again in 2017, and are booked again for 2019. 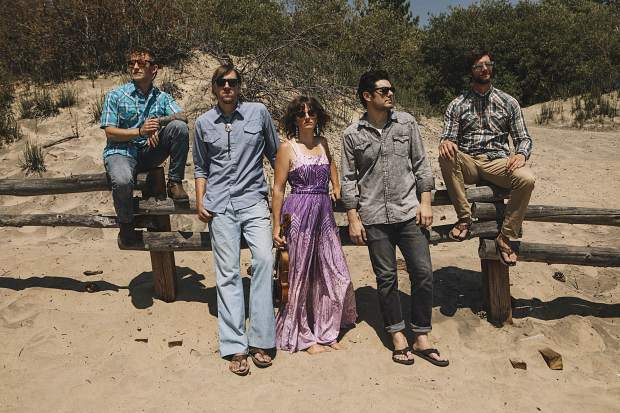 Guitarist Jesse Dunn chatted with the Tahoe Daily Tribune ahead of the event. How much does it mean to the band to perform at WinterWonderGrass? Dunn: The WinterWonderGrass concept itself is very unique, and for them to bring to California, let alone Tahoe, for us is very special. When it first happened in 2015, we had played one of the Colorado WinterWonderGrasses. I think it might have been the first one out there when it was in Avon. And that was really fun for us. So for them to bring it to Tahoe was really special for it to be in our backyard. And of course we wanted to be a part of it and they asked us to and we were certainly delighted to do so. This being our third year, man it’s crazy, you don’t think about how many times something’s happened until someone like, you know, reminds you of that. So it’s pretty crazy. So ‘15, ‘16, ‘17, ‘18, this will be the fifth one. Wild. That’s awesome. What’s it like playing the main stage at an event as large as this so close to home? Dunn: It’s really tough to explain that. I’d say it’s exhilarating to play in front of 4-5,000 people — a lot of whom you know. People who you’ve known for years that are there to support the band. And it’s just, you make a connection with a crowd like that that’s different than any other. You know, the hometown crowd that just gives the energy back to you. Exhilarating would be the best word for it. How have you seen this event grow and change since the beginning? 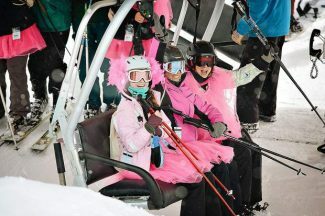 Dunn: I think from being a part of one of the earlier Colorado WinterWonderGrasses, I think they’ve streamlined things. They’ve grown the overall fan experience – there’s the craft brews and multiple stages and just top-notch production audio and lighting and things of that nature. And to have the Squaw backdrop right there with the Snotel. And you can look over the other way and see KT-22 and I mean it’s just a world-class backdrop and setting to play music. I think they’ve done a really good job keying in on overall fan experience and done a good job there. So I think year after year they keep improving on that. How much of a positive impact on the community do you see the festival leave? 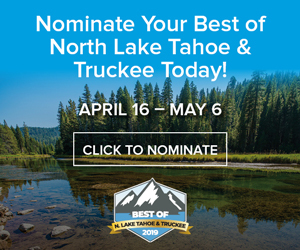 Dunn: I’d say certainly bringing any sort of tourism to the area is huge for Tahoe, given that it’s been such a big snow year, we’ve seen a huge influx of people. I think it brings a unique crowd of music fans to the area which Squaw itself has a rich history over the years. Jerry Garcia has played there and things of that nature. It’s just an extremely beautiful, kind of energized place to play. So I think drawing a unique crowd of music fans is what really spreads the word about the area. It’s a tourist destination anyway, but I think it exposes Squaw Valley to some folks that may not have come out there unless the music was there. It gives the community a place to gather and to see some of the top musicians in the bluegrass, kinda newgrass scene. And I think that’s really inspiring for anybody whether you are an up-and-coming kid who is interested in playing the mandolin or you’re somebody who is in the woodshed playing your acoustic guitar. It’s just inspiring to see people that are the best at what they do. Do any of the band members enjoy skiing or snowboarding? Will they be out riding Squaw Valley at all? Dunn: Yeah to different degrees I think everybody gets out there. Our drummer works up at Squaw part time, so he’ll certainly be out there snowboarding, that’s Brendan Smith. Everybody pretty much gets out there when they can depending on what they got going on and when we’re in town. So you’ll see some of us up there for sure. What are you all looking forward to most at the festival? Dunn: I’m just really looking forward to the camaraderie that surrounds the whole thing and running into some old friends and checking in. That’s really some of the only times we get to see each other — at these festivals, so it’s really neat to check in and see how everybody’s doing and how life’s treating them. Dunn: We are planning on it, and we haven’t executed setting anything up yet but that’s another one of the cool things about this scene is you can do some spur-of-the-moment sit-in collaboration improv stuff and it just kind of feeds that creative energy and creates something that only happens in that moment. So we are planning on definitely getting some of that going on. Do you have any other news to tell your fans, such as working on a new album or future tour dates? Dunn: We’re definitely working on new music. We have a steady spring and summer tour schedule that we’re announcing dates all the time and we’ll be looking forward to that. Definitely getting some new music out this year. And just keep an eye out on our calendar, we’ll be playing in the Basin a little bit this summer. Check out more from the Dead Winter Carpenters at deadwintercarpenters.com.